What’s the best part of working as a freelancer? Well, besides the flexibility. That’s right…it’s getting paid. But, if you don’t have a consistent invoicing system, it’s difficult to keep track of your clients, get clients to pay you on time, and establish an invoice that makes sense to accountants. This article will present what freelancers should include in an invoice, some of the features you should look for in an invoice template, and offer insight into some of the top invoice templates on the market for freelancers. What should freelancers include in every invoice? Before discussing what features you, as a freelancer, should look for in an invoice, let’s talk about your duty as a freelance contract worker when it comes to submitting invoices. Accountants have a hefty job of sorting through hundreds of invoices in a week, and to make the process easier, there is an industry standard of what accountants like freelancers to include on the invoice. Here are some basic rules to follow when submitting an invoice. An accountant needs to understand immediately who the invoice is from. This means you should include the company name you operate under as a freelancer, your first and last name, address, phone number, email address, and any other information pertinent to the exchange of services. This way, if an accountant has questions about your invoice, they can contact you easily. You also want to make sure you communicate who the invoice is to. This means listing the company’s full name, address, and the person who authorized your transaction. This will help the accountant know who to contact for payment approval and speed up the process. Having a date on your invoice tells accountants a few important pieces of information. First, it lets them know when the services were completed. It also lets them know when the invoice is due. Finally, it protects you in case the terms of your contract say a late fee will be applied if an invoice is not paid on time. The terms of payment are a healthy reminder for any accountant. This includes when the payment is due (net-30, upon receipt, etc.) and whether or you will apply a late fee if the due date is missed. Remember how we talked about how many invoices accountants need to keep track of in their systems? Make it easier for them by including an invoice number. Some accountants will flat out reject an invoice if you don’t include an invoice number. The project description should include a short bit of information about the project as well as the quantity and the price. This makes totaling up the amount they need to pay you easier. Some companies will require a tax ID from freelancers. Others will keep your W-9 in their system for reference come tax time. If you work as a sole proprietor, you don’t need to list your social security number on every invoice. However, if your remote business is set up as an LLC, then you can include your tax ID for reference. Again, this is optional and based on the accountant’s preferences. 8. Tax, VAT, service fees, etc. If you charge your clients taxes, VAT, or any other types of service fees, you need to demarcate this in your invoice. Companies pay invoices in various ways, and sometimes they will pay based on your preferences. You can either list your payment preference on your invoice, or you can even use an invoice template that links with a credit card processor, PayPal, or other payment service. Everyone likes a grateful customer. Take some time and thank your clients for their continued business. If you don’t feel keen on these rules, it may help motivate you to realize that 40% of small businesses have outstanding invoices that are over 60 days due, and having incomplete invoices may be part of the problem. Now that we have covered what freelancers should include in an invoice, let’s talk about what features you should look for when it comes to showing loyalty to an invoice template company. Maybe it should go without saying, but a good freelance invoice template will let you modify your invoice to include all of the characteristics of a good invoice listed above. This means they offer a place for you to submit seller information, client information, the date, the terms, project information, quantities, prices, taxes and add-ons, a payment method, a thank you note, etc. As a freelancer, chances are you have more than one client. Make sure your invoice template is customizable and accommodates all of your client’s needs. It’s an added bonus if the template invoice allows you to customize it to match the colors, add your logo, and desired font of your freelance business. Did you know that there are different types of invoice templates available depending on your industry? You can select an invoice template based on what type of freelance work you do. For example, someone who works in the legal sector may find one template more useful than someone who works in the finance industry. Some invoice template software will actually allow you to choose the type of invoice you want to create from a drop-down menu. Do you work on the go? If so, you may want to select an invoice template that is mobile compatible. That way, you don’t have to wait till you get to your desktop or laptop to send an invoice. Not only do you want to look for a payment option, but you want to look at the variety of payment options available to you. How many integrations does the software have? Do they have the right integrations? Pick something that best suits your needs and the needs of your clients. If you have a lot of clients and a semi-regular billing schedule, then you’ll need a tool that automates the entire payments operations. A top-notch invoice template software will automate your recurring billing cycles. 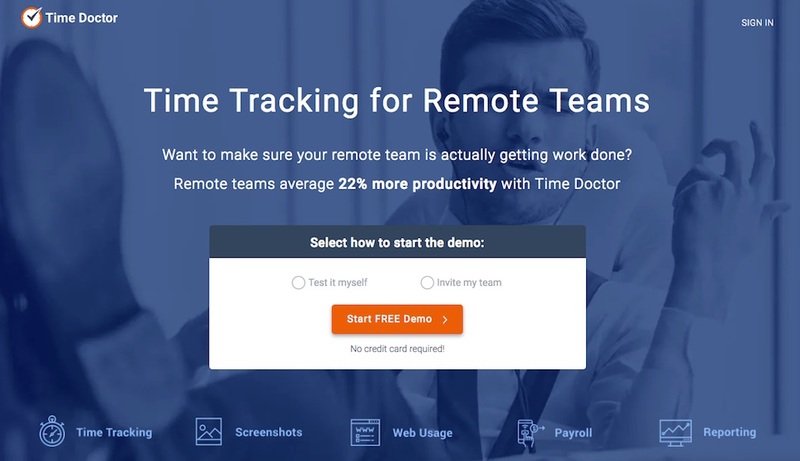 If you bill your clients by the hour, then you need a legitimate way to track the time you work. Some clients will take your word for it. Others will not. To simplify matters, just use a time tracking software that also has an invoice template. This way, you can prove with valid reporting how many hours you work and how much you should get paid. With a time tracking device, the whole process of writing down your billable hours is a cinch. Sending out an invoice shouldn’t take longer than a few minutes. If you run into a situation where you find yourself creating an invoice yourself or customizing an invoice and it takes longer than a few minutes, then it’s time to look elsewhere for a more up-to-date software. Not only should your invoice template integrate with payment options, but it should also integrate with popular project management apps. Just think how much time you could save if you have more of an all-in-one solution to all your project management, time tracking and payment needs. Rather than switching between several different apps like Time Doctor, Asana, and your invoice template, you can look for softwares that integrate well together and consolidate your processes. Some freelance invoice templates are free, others are paid, and some are an added benefit when you purchase another service (like project management or time tracking software). There is no set price on a good invoice template. 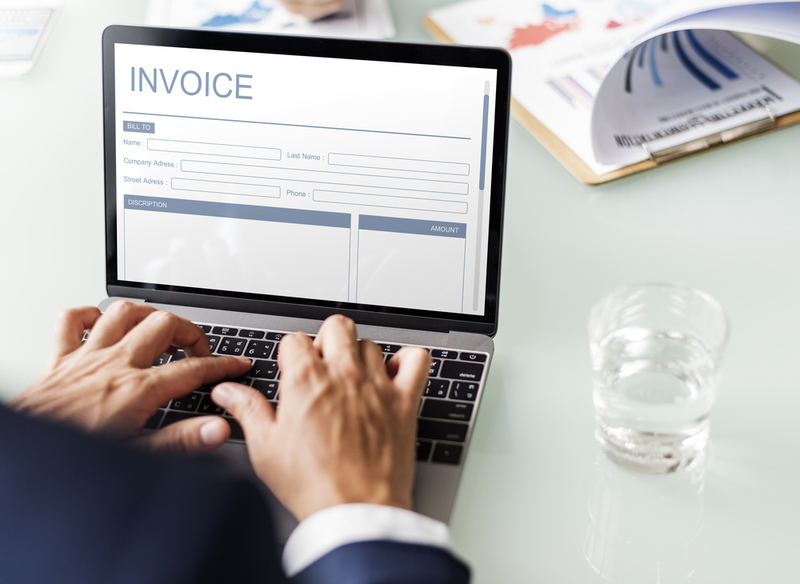 Just make sure you are getting the most bang for your buck when looking into an invoice template, especially considering so many invoices are free to use, or free when you purchase another type of business solution software. When selecting your freelance invoice template, of course you want to do a little shopping. Just make sure that the invoice template you end up selecting fits the criteria above and meets all your needs. What are some top freelance invoice templates? Now that we have discussed what you should include on an invoice and what features you should look for in a software, here is a quick rundown of some of the top invoice templates available on the market. 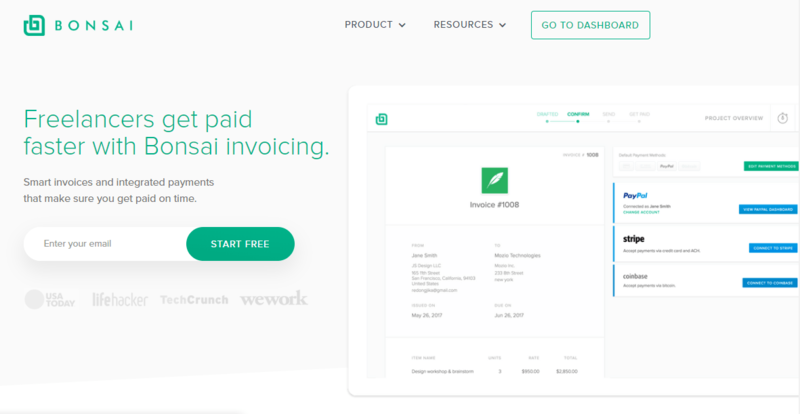 Bonsai’s freelance invoice feature empowers 100,000+ creatives all over the world with a solution for getting paid faster. Create smart and easily customizable invoices in seconds, or generate them automatically from any proposal, contract, or time sheet. Recurring payments supported! Bonsai tells you when the client interacts with your invoice and can automate reminders for you so you can get paid on time. 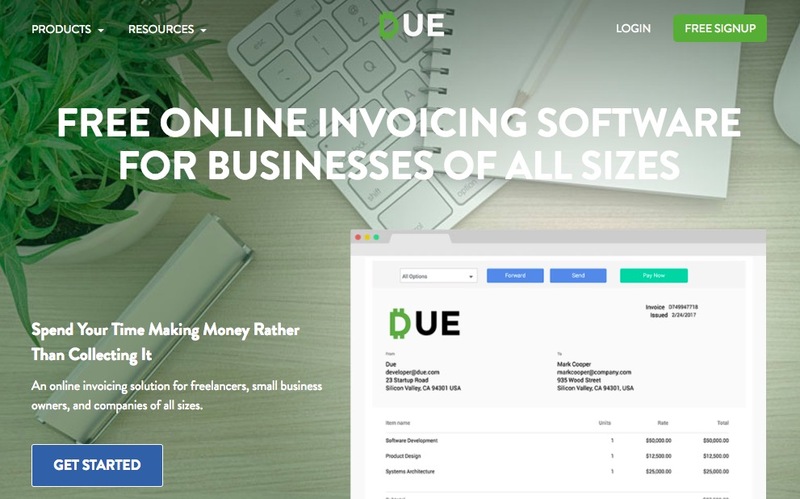 Due is an online invoice solution that works for freelancers. They focus on helping freelancers quickly fill out a template, so you don’t have to waste extra time creating your own. Additionally, they keep track of sent invoices, received invoices, paid invoices, and saved invoices. That way, you don’t have to. Due is customizable and allows you to accept credit card payments through the invoice. 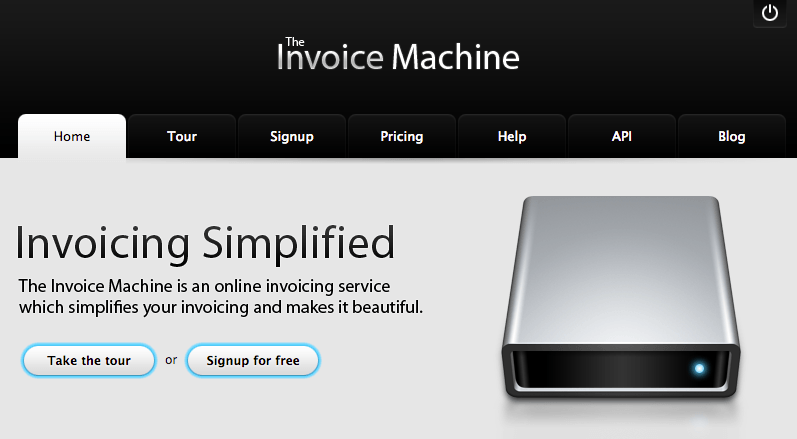 Invoice Machine is for freelancers and businesses that want an easier way to keep track of invoices. 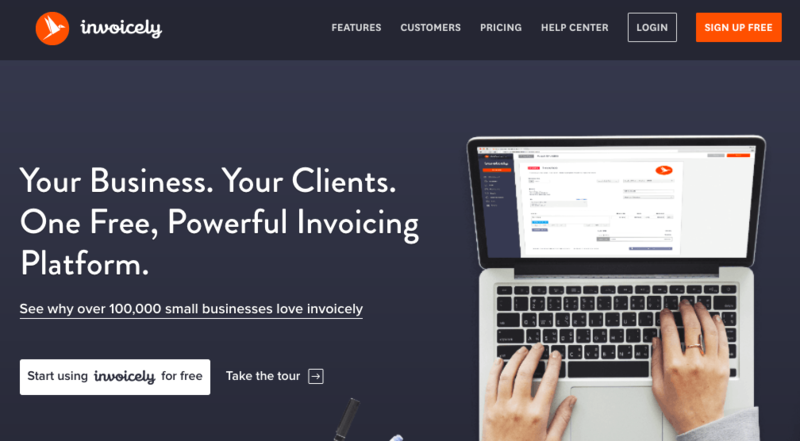 This company makes creating beautiful invoices free. Plus, they keep track of paid and sent invoices for you, and allow you to filter your invoices by category so you know the status of each invoice. Invoice Machine is fully customizable and also comes with a billing timer. Remember how we talked about using a productivity app that comes with a payroll module? Well, that’s Time Doctor. 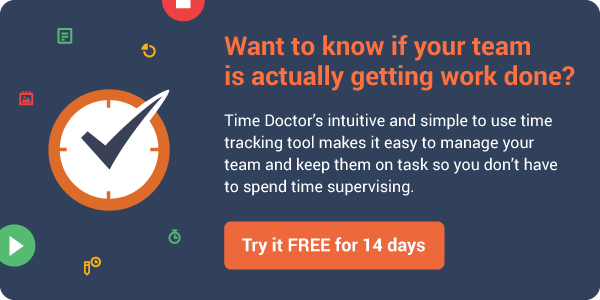 The focus of Time Doctor is helping you improve your productivity by helping you track your time and manage your work more easily. Time Doctor offers custom reports, integrates seamlessly with other project management apps, and will help you keep track of your billables. This makes invoicing your clients accurate as well as helps you remain productive as a freelancer. An added benefit of Time Doctor is when you are tracking your hours as well as your billables, you can identify which of your clients are contributing more to your bottom line and which clients you can replace for a client that is willing to pay more for your time. 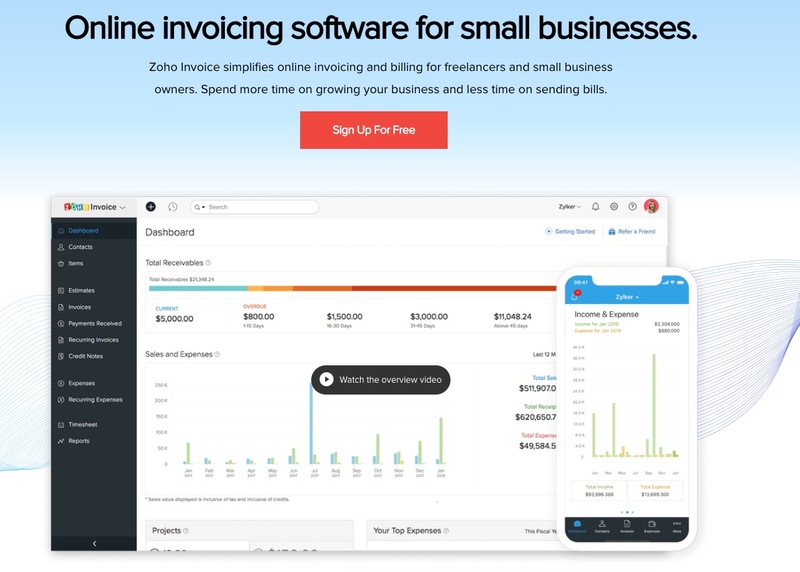 Zoho Invoicing includes quick invoicing, easy time tracking, automated reminders, effortless expense management, insightful reporting, and online payments. Some of the online payment options include Google Checkout, PayPal, Stripe, 2CheckOut, and Authorize.net. You can send invoices via email or snail mail. They have a free option and more robust paid account features. 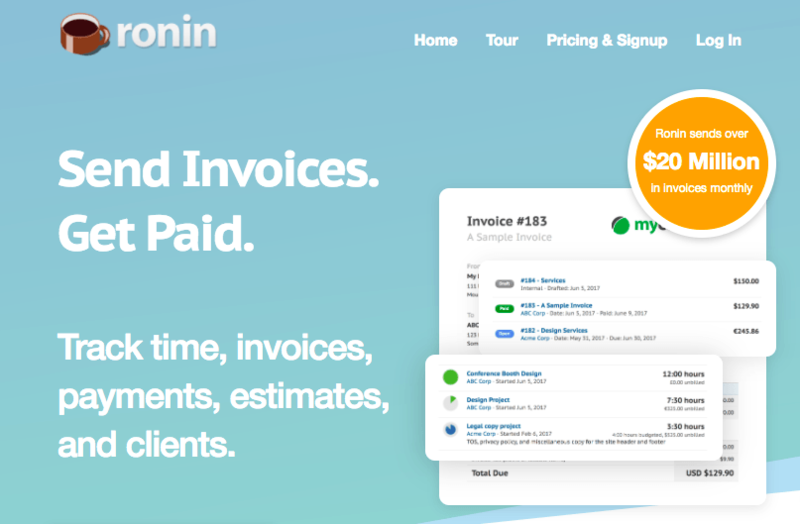 Ronin is yet another invoicing template that lets you try the software for free, but also has more robust paid features. Ronin offers pay integration with PayPal, Stripe, and Authorize.net. They also allow you to offer a convenience cost to cover fees. 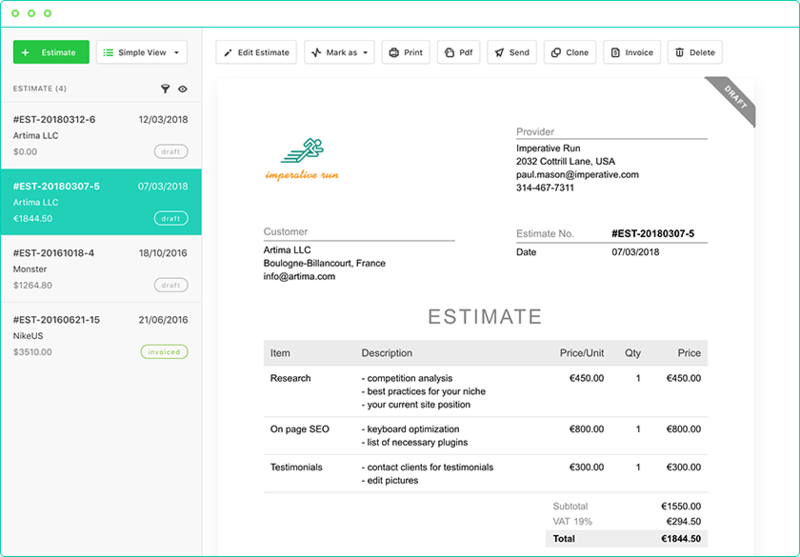 Additionally, Ronin provides customizable templates, multiple currencies, and recurring invoices. With Ronin, it’s easy to run your freelance business from anywhere. Looking to keep all of your financial information in one convenient place? Then, try Invoicely. Invoicely helps you create beautiful invoices in under 60 seconds. They also have a time tracking device that will help you keep track of the hours you worked. Not to mention, they also accept online payments. Something cool about Invoicely is they also help you keep track of your expenses and your miles. Come tax time, you don’t have to scramble to try and remember what you spent and where you drove on the dime of your business. First things first about Paymo. The free edition of this service is no longer available. Now, they ask for $4.95/month for the first user and it goes up from there. However, it’s also important to know that Paymo is not just an invoicing app. Just like Time Doctor, Paymo integrates several important business solutions into one app. Users of Paymo get invoicing, project management, and time tracking in addition to task management. If you are looking for more than just a free invoicing software, then Paymo may be a good option. If your freelance business is small and not complicated, looking for a free template may be a better bet. Elorus is a super-easy online invoicing and time tracking software that will help you focus on what you really love about your business. In addition to the standard functionality that you come to expect from such a software, Elorus features a cool client portal. Customers may log in and make online payments, access their invoices and review the time you’ve spent on their projects. Did I mention the live template editor? There’s a ton of options to customise the appearance of your invoices and the process is simple and even fun. Elorus offers a forever free plan that includes all features and allows you to invoice up to five clients. Kashoo is a simple, clear and focused financial tool built for small business owners. 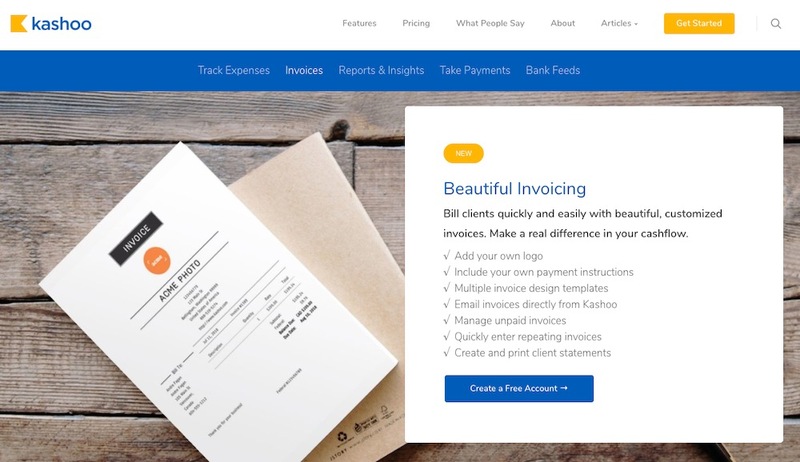 Kashoo invoicing helps to bill clients quickly and easily with its beautiful, customized invoices. The invoices are fully customizable where users can add their own logo or include their own payment instructions. There are multiple invoice design templates available. It also has features like emailing invoices, managing unpaid invoices, handling repeating invoices, create and printing client statements etc. When it comes to getting paid, it’s time to up your game. Instead of creating invoices on your own, use an invoice template like one of the top templates mentioned above. Additionally, when you fill out a freelance invoice template, it’s easier to remember to include all of the important elements of a template. Why? Because the template will include the right information. All that is left for you to do is customize it to match your freelance brand, project, and business. We have created a basic invoice template that you can start using to get paid. You can download it here. It is in a Google Doc. To be able to edit it, you need to go to File and then Make A Copy (make sure you are signed in to your Google Account). From there, you can “Download As” to save it in the file type you would need. 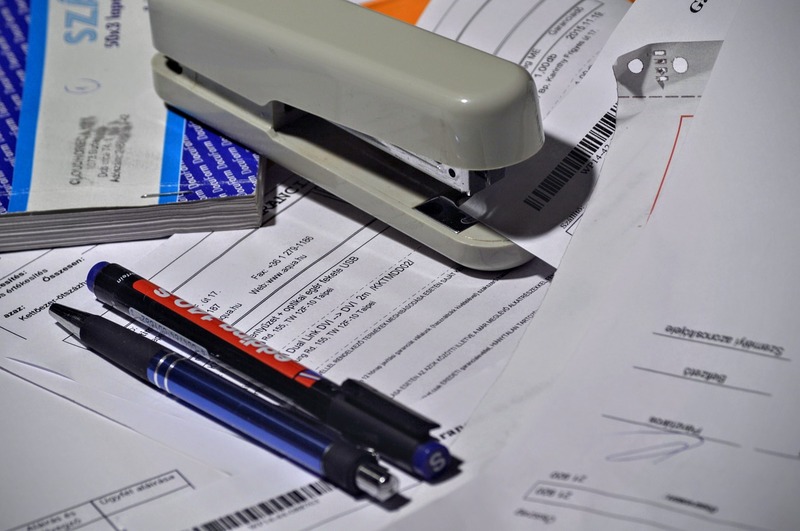 Thanks for sharing these tips about invoicing especially for freelancers. Some tend to forget its use and what to put on these documents and your post made it very clear about the basic rules.